Many thanks to Manfred Zorn and Scott Carter for all of the amazing photographs from the 2013 season!!! 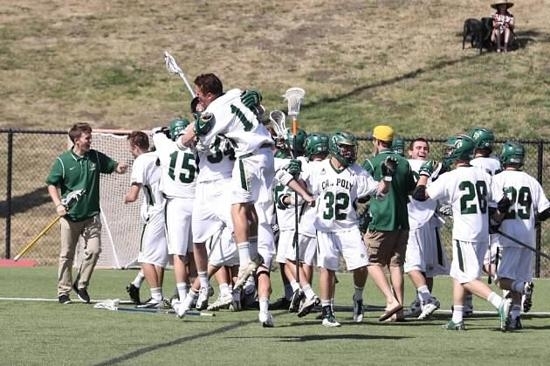 April 23, 2013 - Coming off their biggest victory of the season, the Cal Poly Mustangs jumped four spots to #18 in this week’s Nike/Inside Lacrosse MCLA Coaches Poll. Senior goaltender, Nick Czapla, was honored this week for his performance against the Cardinal in the Inside Lacrosse 15 Minutes of Fame. After struggling early this season, the young Mustangs have found their stride as they head into next weekend’s WCLL Final Four in Novato, California. The Mustangs have earned four straight WCLL titles and will look to defend their championship and earn a trip to the MCLA National Championship Tournament in Greenville, South Carolina. April 20, 2013 (San Luis Obispo) - The Cal Poly Mustangs put in their best performance of the season on Saturday, knocking off the #8 Stanford Cardinal 11-10 at home on Senior Day. With senior defensive midfielders Jeff Carter, Ryan Breitenbucher, and Jonathan Garcia forced to watch from the sidelines due to injury, two other Mustang seniors, defenseman Rory Weinell and goaltender Nick Czapla, helped lead the team to victory in their final game on their home turf. The Mustangs’ defense put in an aggressive, hard-nosed effort and managed to limit the talented Stanford offense to ten goals on the day. The Cal Poly offense showed just how far they have come this season, notching double digit goals for the third time this season. Sophomore midfielders Anthony Varni (1G, 3A) and Michael Paul (3G) set the tone for the Mustang offensive unit, and freshman attackman Bennett Kocsis had a breakout performance as his 1 goal and 4 assists led the team in scoring. The Mustangs travel to take on Chico State next Saturday, April 27th in their annual “Battle for the Boot” rivalry game. Cal Poly will then head to Novato for the WCLL Final Four on May 4-5 looking to earn an unprecedented fifth straight league title. The Cal Poly men’s lacrosse team host their final two home games of the season this Saturday, April 13th and next Saturday, April 20th. The Mustangs come into the WCLL divisional contests with a disappointing 5-6 record, but can still defend their league title with a late season run. Despite their overall record, the Mustangs are ranked #20 nationally in the MCLA coaches poll and come into the game with a 2-1 league record. The Mustangs are looking for their young squad to catch fire in time to capture their 5th consecutive WCLL title. 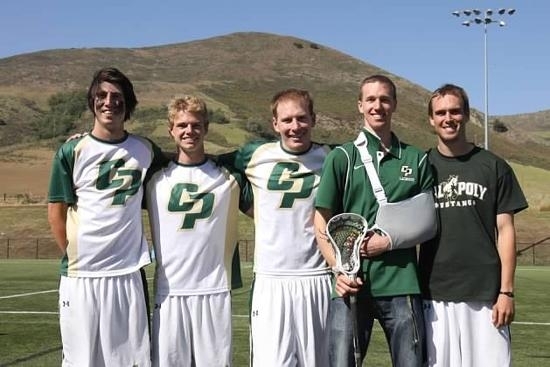 After falling just short of an MCLA national title in 2012, Cal Poly has struggled to find their footing this year, due in part to the loss of fifteen graduating seniors from last year’s national runner-up squad and a grueling strength of schedule. The Mustangs look to get back on track the next two weekends as they take on two Top 10 nationally ranked squads!! Saturday, April 13th, 2013 at 2:00 p.m.
Saturday, April 20th, 2013 at 2:00 p.m. The Upper Sports Complex is located on Sports Complex Road past Baggett Stadium. Field 1 is located at the far end of the synthetic turf fields, furthest from the baseball stadium. Admission is free and there is a large seating area on the grass hill adjacent to the field, but there are no bleacher seats available. The Cal Poly men’s lacrosse team will open up the 2013 season with a Blue-Green rivalry game against the UCSB Gauchos on Saturday. The Mustangs come into the season ranked #5 nationally, and are coming off their best finish in program history, falling just short of a national title in 2012. In recent years, the games between Cal Poly and UCSB have been extremely hard fought, and the last two games in the series have gone to the home team by a slim one-goal margin. The Mustangs look to keep the home field advantage win streak going this Saturday afternoon at the Cal Poly Sports Complex. Saturday, February 9th, 2013 at 3:00 p.m. The 2013 MCLA season kicks off in just over a week. 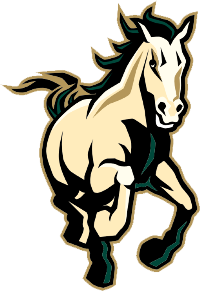 The Cal Poly Mustangs are getting ready to defend their WCLL title and are looking to earn their first MCLA National Championship in program history, after falling just short in the 2012 title game versus Colorado State. The Mustangs head into their season opener against local rival UCSB. It should be an even matchup as the two teams come into the game tied for the 5th slot in the MCLA Week 1 National Coaches Poll. The pre-season polls are rolling in and despite losing over a dozen seniors to graduation from the 2012 season, the Mustangs are still ranked near the top in every poll.